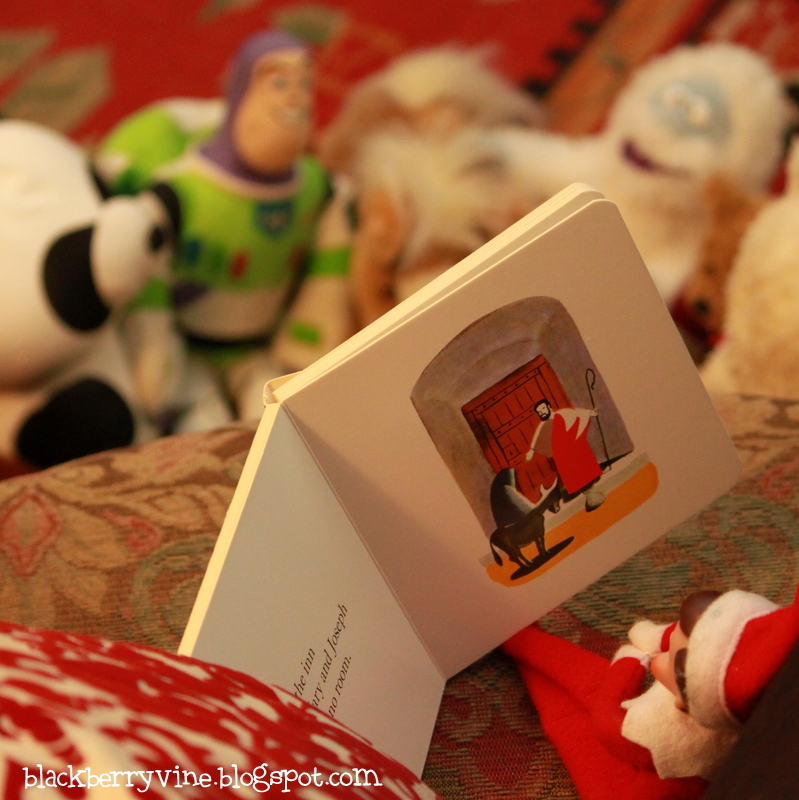 This morning, the boys found Clark reading the Christmas story to his little toy friends! 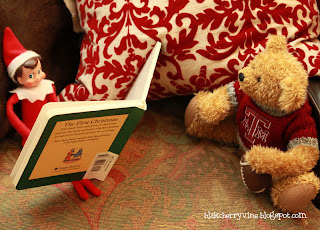 Aggie bear must have hopped up on the chair so he could hear better...Buzz tends to talk too much! Love that our sweet little elf is reminding his friend (and us) the real reason for the season!